Rep Graphic Sdn. Bhd. was incorporated in 1965 has prioritized its efforts in photochemical etching for thin flat metal parts and prototypes in industries such as semiconductors, electrical & electronics, instrumentation, precision mechanics, medical, aerospace, as well as printed circuit boards, gobo lightings, logo nameplates and decorative pieces for jewelry, architectural and printing industries. We also custom fabricate and supply etching machine, UV exposure system / contact printers as well as etching chemicals in accordance to our clients application requirement and specification. Our reputation and business in this field has been built up around the continued operation and our facilities are up to date. We are equipped to share with you basic information / engineering and product capabilities on your order. 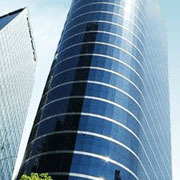 The company is located in Petaling Jaya, Selangor Darul Ehsan, Malaysia. As a smaller and tightly focused firm, we can interact closely with our customers and can meet your requirements with personal, responsive service and faster turnaround than the larger firm.